FLOEMA PANELS division develops, manufactures and sells high performance soundproofing acoustic panels, specifically designed for any internal environment and which contributes to achieve a greater acoustic comfort and improved sound quality. 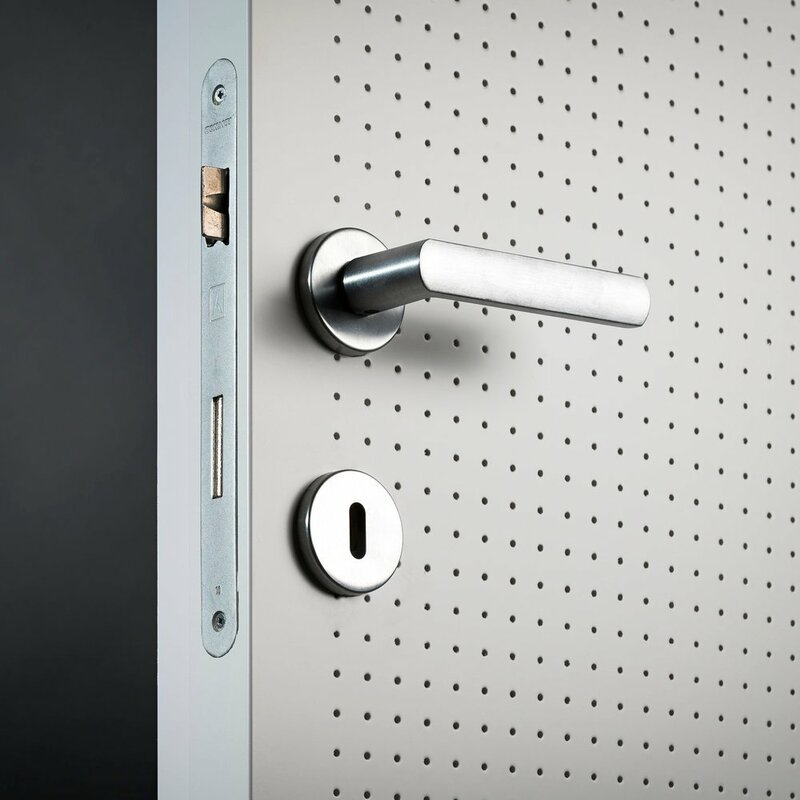 The key characteristic of this division is represented by the application of a completely revolutionary approach in the sector, based on the usage of a new type of patented material, the Phonotamburato®, with which the best combination of quality and a cutting-edge design can be achieved. After 3 years of research and development in Italy, FLOEMA PANELS developed the Phonotamburato® technology. The Phonotamburato® is a sound-absorbing panel that, thanks to its properties, allows the sound absorption (reducing reverbs inside a given environment) and isolation (limiting other sounds to come into and go out from a specific room). Furthermore, this material is also waterproofing, fireproofing and thermal insulator. Going deeper into the sound absorption features of our Phonotamburato® doors measured by the Noise Reduction Coefficient, the distinctive elements ensuring it are three: the thickness (meaning also different layers of special fibers), the drilling number and the drilling design (square, cross, hexagon, trigon). Our wood fiber panels are developed using materials of first quality available on the market. We apply the best surface coating (veneers, paper, PVC or laminate) in all our panels and the laminates are of top quality. 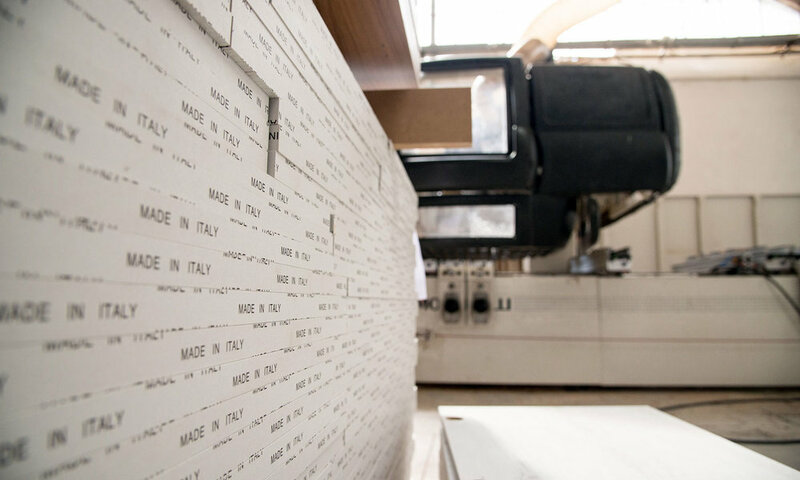 We want to deliver a craft-handed product, in accordance with our Italian design tradition. In order to manufacture the finished or semi-finished products which fit to your desires and needs, we do not neglect any step of the process. With the possibility of double-sided micro-drilling, which allows them to obtain a coefficient of average sound absorption of up to 85%, the panels in Phonotamburato® allow for an acoustic comfort which is fundamental for wellbeing in the workplace of the future, aimed at customers who are attentive to the risk of noise. Main uses: partition screens for desks, cupboards, swing / sliding doors, movable walls, false ceiling modules, suspended panels, wall coverings and partition wall panels. The panels in Phonotamburato® are the best solution designed for hospitality and commercial operations. The extraordinary peculiarity of the Phonotamburato® guarantees an acoustically comfortable environment and its extreme versatility ensures customised solutions for sophisticated design and architecture requirements. Main uses: doors for hotel rooms, manoeuvrable walls, false ceiling modules, suspended panels, wall coverings and partition wall panels. Thanks to the qualities of the internal sound-absorbing and thermally insulating material and to the possibility of mass production, the elements in Phonotamburato® are suitable for large crowded spaces thanks to easy application. The Phonotamburato® lends itself perfectly to covering walls and functioning as modules of the countertops in airports, meeting rooms, shopping centres and public spaces. Main uses: swing doors, manoeuvrable walls, false ceiling modules, suspended panels and wall coverings. Because of the ease of assembly and the surface which is paintable or comes in different finishes in laminate, melamine papers, PVC or precomposed wood, the Phonotamburato® can be used in tailor-made solutions to furnish the home, combining raw materials, research and design. A unique element of functionality and style for environments in which the avant-garde is sought. Main uses: swing/sliding doors, manoeuvrable walls, wall coverings. To know in detail the patented technologies and specifications of the doors made by Floema Panels, download our catalogue by clicking here. 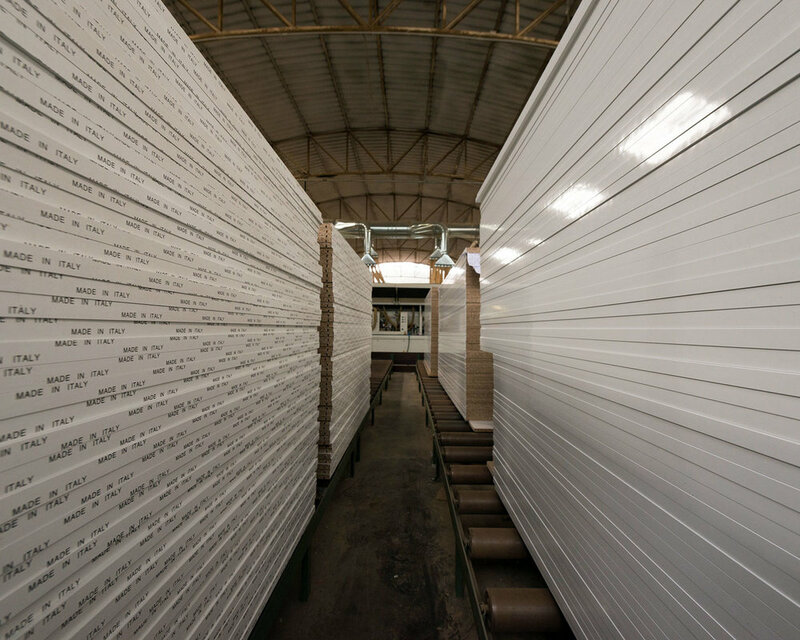 For a quick view of Floema Panels applications, you can find the related brochure by clicking here. At Floema Group, we want to test and propose the best quality. This is why our products are controlled and certified by accredited bodies internationally recognized. Please find hereinafter the document which ensures the acoustic features of ours panels. Click here to download it.